We are HUGE, HUGE fans of Hexbug in our house. My boys have been playing with and loving the Hexbug brand for years. This year, Hexbug debuted the Nano V2, Hexbugs that climb walls! You can see the wall climbing action in this video I shot back in the fall on YouTube. About a month ago, I received a party box from HEXBUG. It included a bunch of the toys and some single HEXBUG Nano V2s – for goody bag gifts for a party! We invited a few neighborhood kids over and had a party and had SUCH a blast. 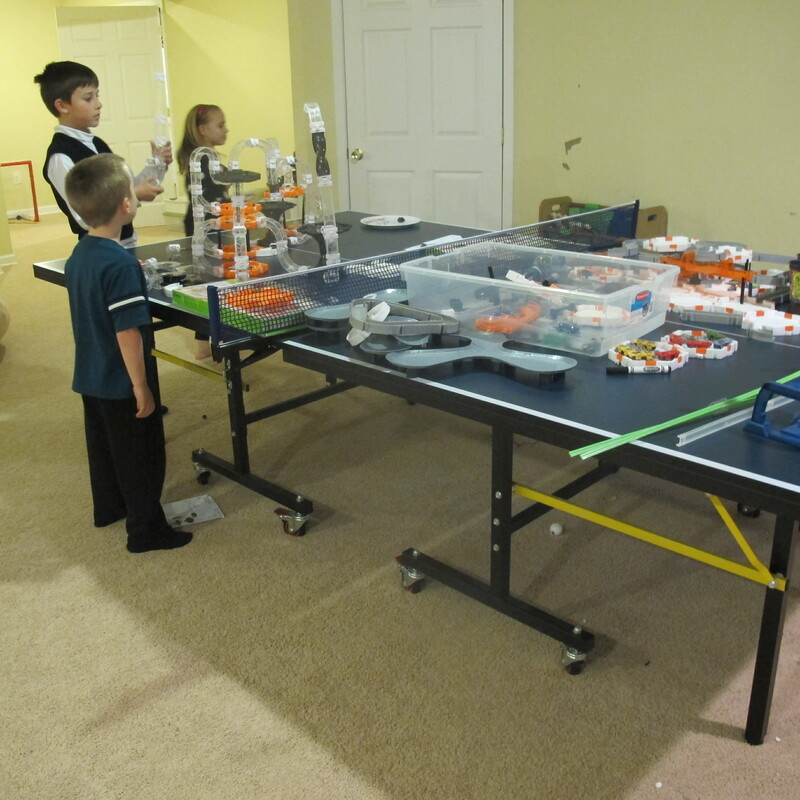 This is such a great birthday party theme idea – even in buying each of the HEXBUG toys and the single V2s for goody bags, you probably spend a ton less than you would on going to a party outside of the house and paying $400 at a bouncy house spot or somewhere similar, and this way your children have toys to play with after the fact. 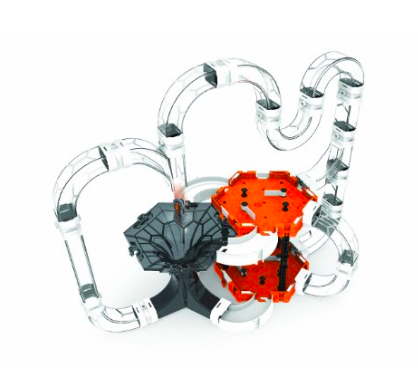 HEXBUG Nano V2 Hurricane Set, $49.99 on Amazon – this one creates a multi story play house for the HEXBUGs to travel around in – the best part are the tubes that meet in the middle and free fall drop into the darker piece you see there on the left. The kids got a kick out of that! We also set up the Black Hole V2 Set ($52, Amazon) which also does a free fall drop, and a few other smaller sets. The best part? The kids each got to take home a single tube pack with a Hexbug Nano V2 and a connector. I had to show you guys this too – it literally took up half of our ping pong table. The kids were on the left side with all of the new Nano V2 sets and on the right I wanted to show you all of our old HEXBUG toys – I told you we’re huge fans! The ones on the right are from the original series and it’s good to note that they can all connect together if you want to make one massive HEXBUG playground. The kids were running back and forth and playing with both throughout the night! 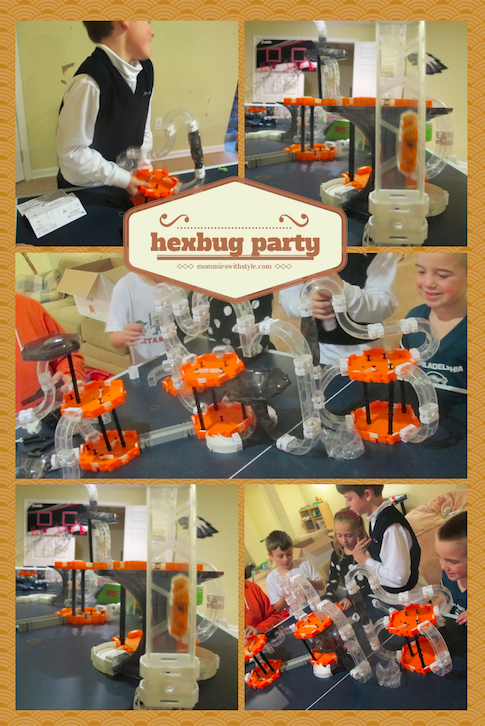 HEXBUG provides some awesome party ideas for your HEXBUG-themed occasion. You can find a great appetizer ideas like Grasshopper Dip, Beetle Juice, Caterpillar Kabobs and more! Disclaimer: I received sample HEXBUG products to facilitate this review and have a party. As always, all thoughts and opinions are my own.